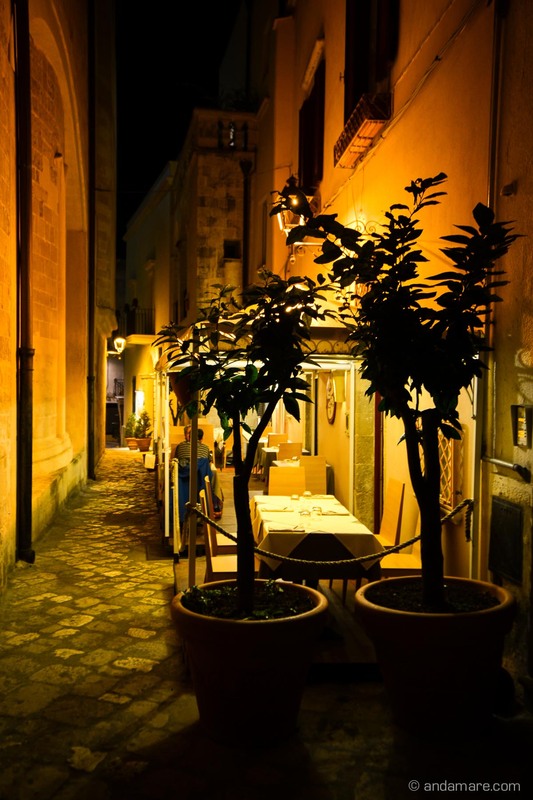 She is good and proper, la cucina Salentina and Otranto a good place to combine a stroll around the old town with a typical tasty meal. 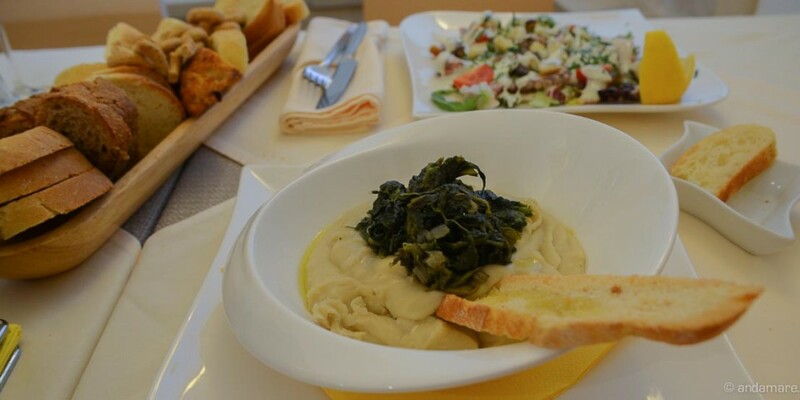 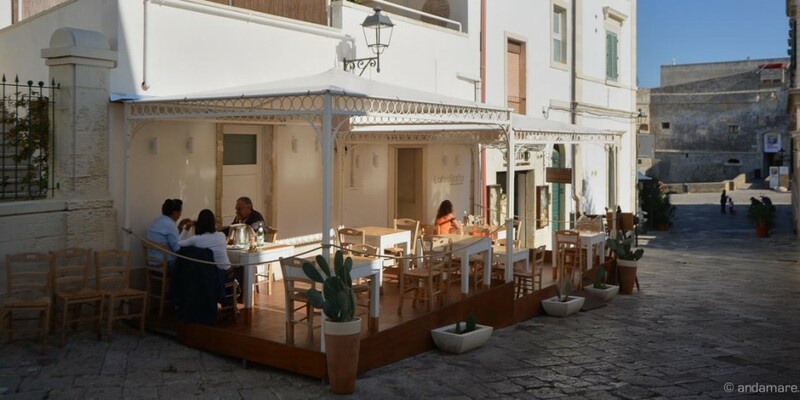 Whether at lunch or dinner, we love the little terrace of the l’altro Baffo; its comforting and cozy sitting there, enjoying pasta and fish, accompanied by a glas of wine. 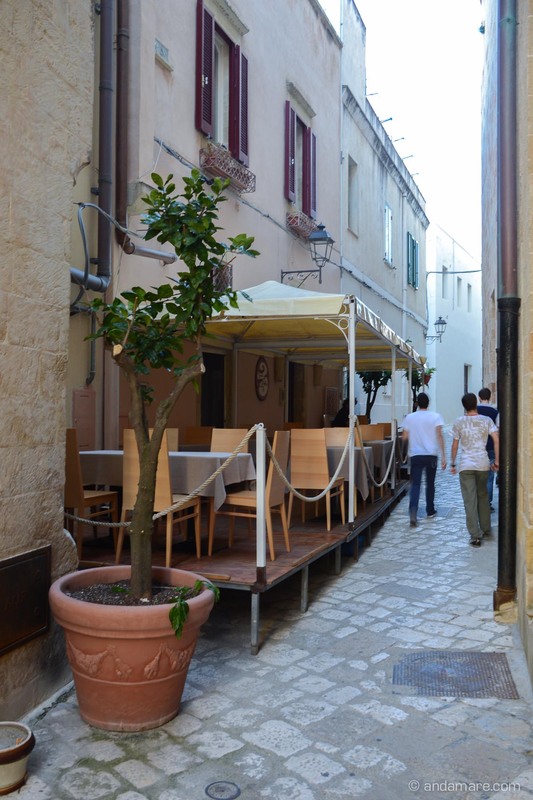 The alley in which the l’altro Baffo is located, is one of the more quiet ones in Otranto although pretty close to the castle. 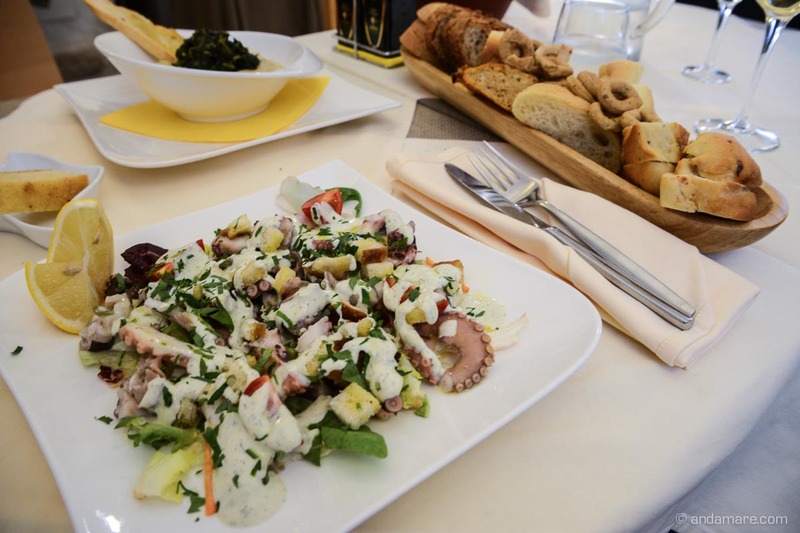 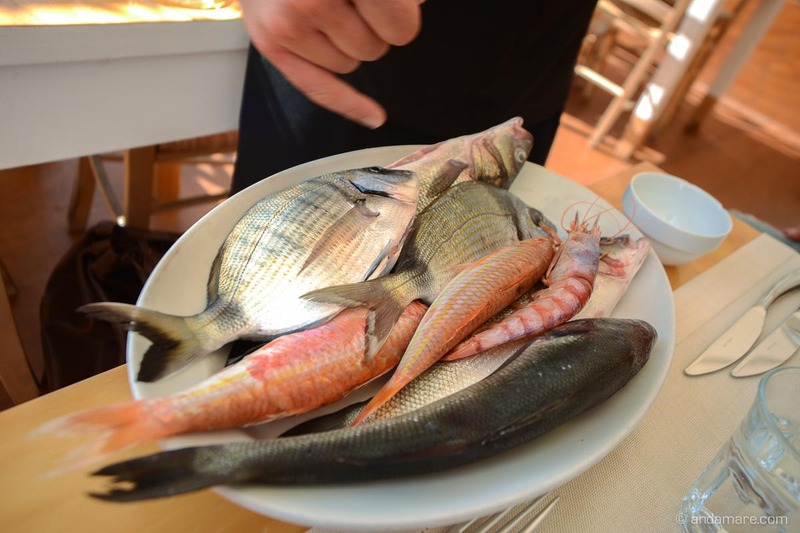 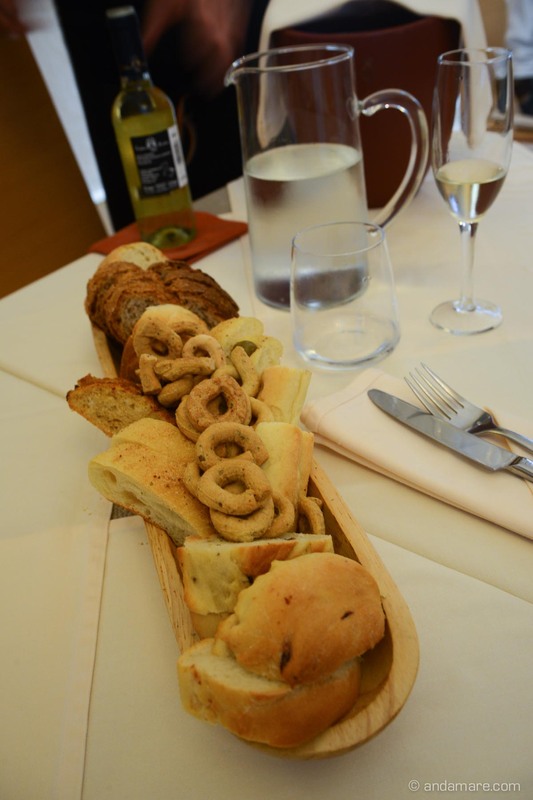 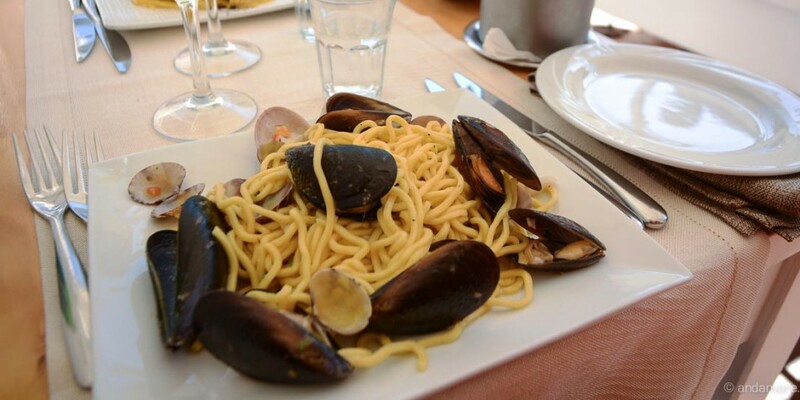 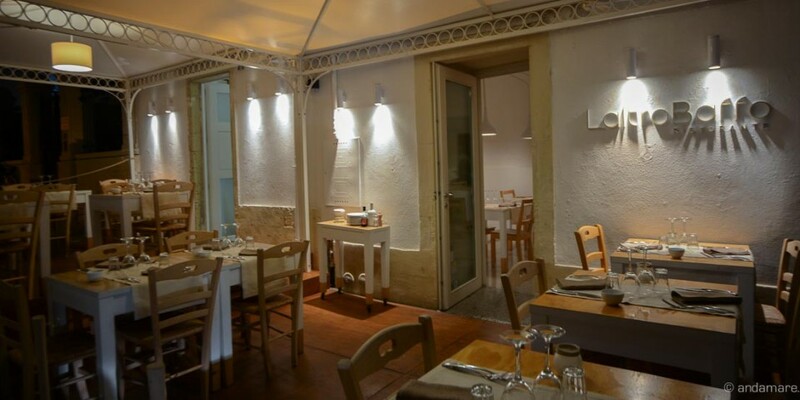 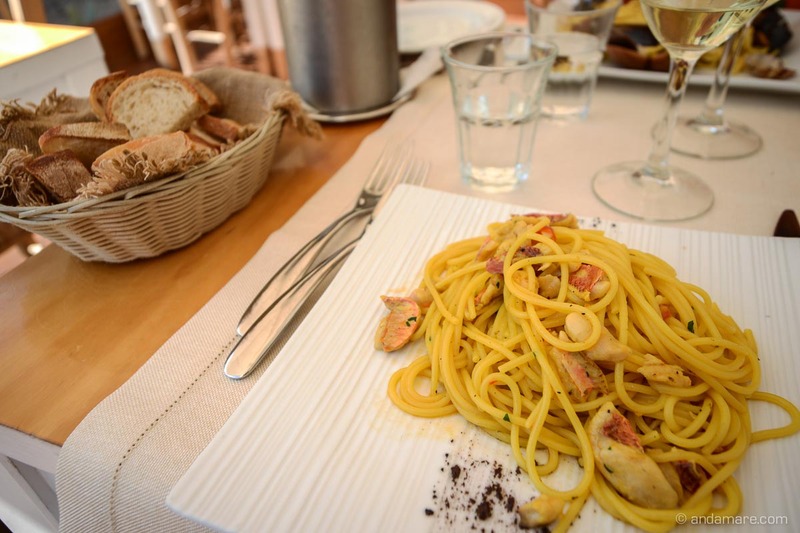 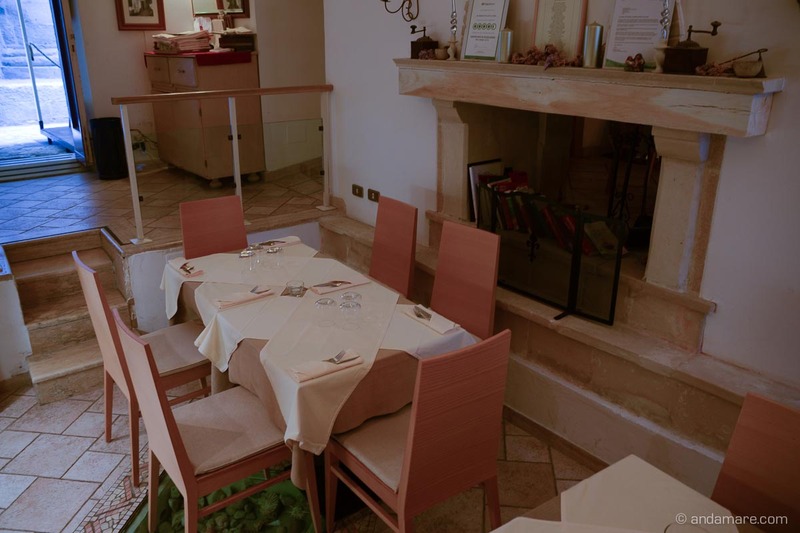 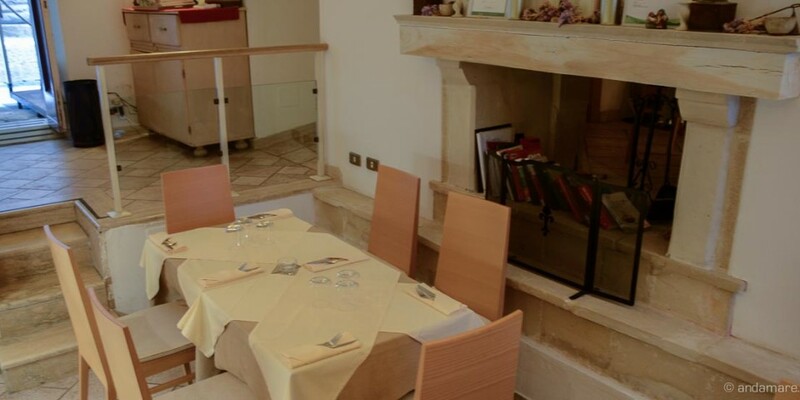 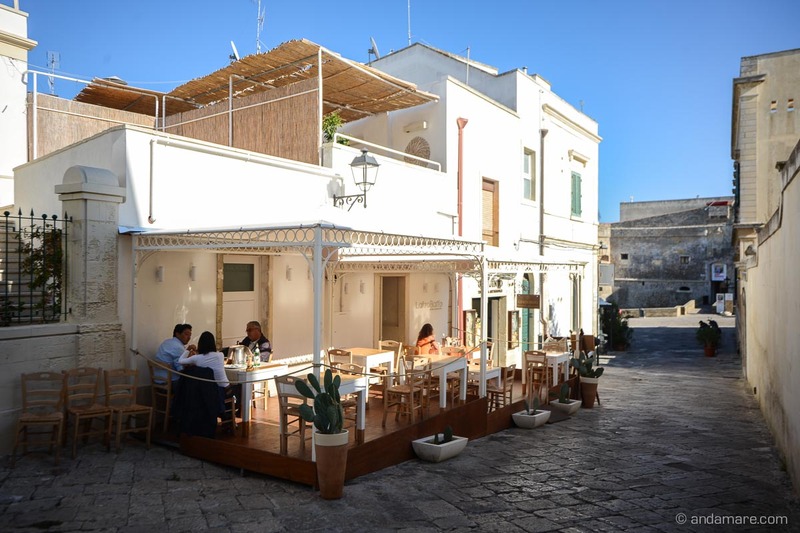 The same is valid for the Peccato di Vino, also this restaurant almost seems a little hidden – by Otranto’s standards – and invites to enjoy a calm evening on its terrace or inside, at one of the few tables.